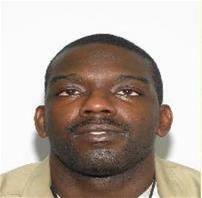 Hanover, VA – Milton Lamont Johnson, 28, of Winchester, is wanted by the Hanover County Sheriff’s Office for Breaking and Entering with Intent to Commit a Felony and Larceny with Intent to Sell. Johnson is also wanted by the Henrico County Division of Police for Breaking and Entering with Intent to Commit a Felony, Grand Larceny, and a Probation Violation. Investigators were able to link the suspect to a breaking and entering that occurred in the 10000 block of Pamunkey Road, in the Atlee area of Hanover County, on October 31, 2016. Johnson is believed to still be in the area and was last seen operating a light blue hatchback style car.